My visit to a district hospital in Mykolaivka, located in the Sloviansk municipality in the war-torn Donetsk region of eastern Ukraine, is a journey through the depths of the human experience. I think of the phrase, ‘if walls had ears.’ With ears to hear, and also voices to speak, the story that this hospital’s walls would tell is one of searing pain and devastating loss – but also one of remarkable resilience and unwavering dedication. Today, the hospital serves some 45,000 people – many of them long-term residents of the area, but also large numbers of internally displaced Ukrainians, who fled nearby areas that were occupied by rebel forces. Having saved many lives during the hostilities that ravaged Sloviansk until the end of July 2014, the doctors at this regional hospital have been battling with the fallout from the conflict ever since – fighting to rebuild, to renew, and to heal. During the height of the conflict, this hospital was the only operational medical facility in the area. Shells fell near the hospital, forming huge craters in the yard. A blast damaged the roof, ill-designed and poorly installed as it was – causing water to leak into the building, including into an X-ray room. Thus, using the X-ray machine – the only one in the entire district – for a long time depended on the weather forecast, as of course if it was raining outside it was raining inside too. My first encounter with the hospital and its team took place in September 2015. At that time, renovations at the hospital were just beginning. The work was undertaken as part of the ‘Recovery and Peacebuilding Program’ – a regional project of the United Nations Development Program (UNDP), supported by the Government of Japan. Head doctor Oleksandr Bilanov shows me around facilities and recalls the horror of a time when death and destruction became a part of daily life. 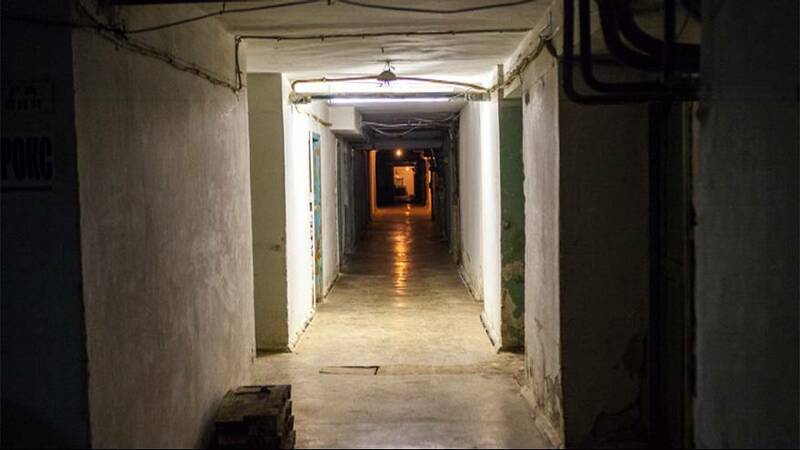 A few days prior to the hostilities breaking out, with escalation already in the air, the hospital management team brought water reserves down to the hospital’s basement. A number of rooms were prepared and set up for the patients. Soon, wounded people began arriving in droves. Fighting edged closer to the hospital. The doctors had to move the patients to the underground rooms. “The separatists were everywhere around the hospital and even on the roof, and I feared for the staff members,” says Bilanov. Bilanov tells me how he and another surgeon worked on two operating tables in one of the underground rooms. There was no light, so a technician lit the room – at first with candles, then with a torch. Today, there are still soot stains on the ceiling. Next to the operating room, in the same basement, was a maternity ward, Bilanov explains. The painful memories of what once happened here are visible across his face. During the height of the hostilities, Bilanov was permanently living at the hospital. The staff members ate only once a day. There was no time to think about how long the situation would last and what might happen next. The wounded continued to flow in and there were only two surgeons to treat them. Many of the injuries were due to shell fragments. To disinfect the medical instruments, the doctors soaked them in medical alcohol and ignited it. There was no chance to think about AIDS and syphillis precautionary measures. While everybody was working in the basement, some medical workers were on duty upstairs, registering newcomers. All data had to be recorded because the staff realised that the fighting would one day stop and the information would be essential for accounting for the wounded and dead. Staff began to make ad hoc arrangements in order to provide meals at the hospital. Bilanov would drive a car filled with bread to Mykolayivka, through the checkpoints from the areas under control of the Ukrainian government. Staff members offered food from their own homes – saving meat in their freezers and bringing it into the hospital. But, despite this, one day the dedicated head doctor was detained and taken to a meeting with a separatist leader. Bilanov was told to ensure that wounded separatists were treated well by hospital staff. Bilanov shows me some shell fragments – they landed in his office at the hospital. He holds them in his hands, mementoes of a terrible time. “I have to throw these away,” he says. “The war has greatly dissociated people,” Bilanov continues. “It was clear at once who was who. I don’t mean only in terms of supporting a certain side of the conflict. Many people showed themselves from an unexpected side. Some of those in whom we placed hope proved to be unreliable. And some of those who we did not notice much proved their best in tough circumstances”. During the hostilities, the number of staff members at the hospital decreased almost threefold, from a little bit more than 300 to 100. Three dedicated specialists – all internally displaced people from some of the most dangerous conflict zones in eastern Ukraine – joined the team: a traumatologist from Debaltsevo, an anesthesiologist from Khartsyzsk, and a logistics manager from Horlivka. “Now everything is as it used to be before the war, only memories remain. Our world view has changed as well as the attitude towards what we have”, says Larisa, who is responsible for logistics at the hospital and is Bilanov’s wife. “Back in the days (after the fighting stopped), when I was coming down to the basement, people were afraid that we were preparing for hostilities again. Now they have somewhat got used to it and everything seems to be back to normal,” says Bilanov. He tells me that it was a huge struggle to secure financing for much needed renovation of the hospital. Last March, the hospital was selected by a UNDP restoration project. Getting the work done was very difficult and the hospital team faced many obstacles. Firstly, it was a challenge to find a firm to even commit to doing the work. Local companies did not meet the requirements for such a big project, and firms in nearby areas did not want to work in this volatile area. In the end, a company that had relocated to Sloviansk from Donetsk agreed to do it. The owners and employees of the company are all internally displaced people. Renovation of the surgical operating rooms has recently been completed. Among their many uses, these rooms are crucial for the hospital’s obstetrics department, which offers the most affordable services in the area and treats displaced women for free. The medical team are proud of the obstetrics department and the help they have been able to provide in difficult circumstances. The X-ray room has also been renovated, and the hospital is looking for a new X-ray machine to replace the 1977 model they are still using. The budget of works conducted within the UNDP renovation program is around UAH 7 million (242,576.84 EUR) – one third of all funds allocated for health and medicine in Sloviansk in 2015. For this hospital that still bears the scars of a brutal conflict – and whose dedicated staff never gave up on their duty to treat and heal – it is a new beginning.